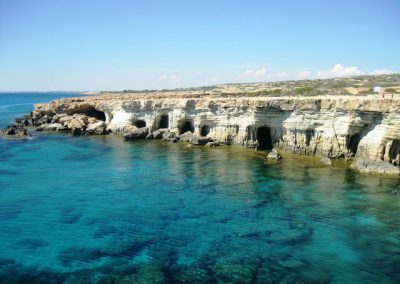 Following a 55 minute journey in one of the comfortable air-conditioned Crest 4x4 vehicles you will arrive at some of the most challenging scuba diving sites in Cyprus. 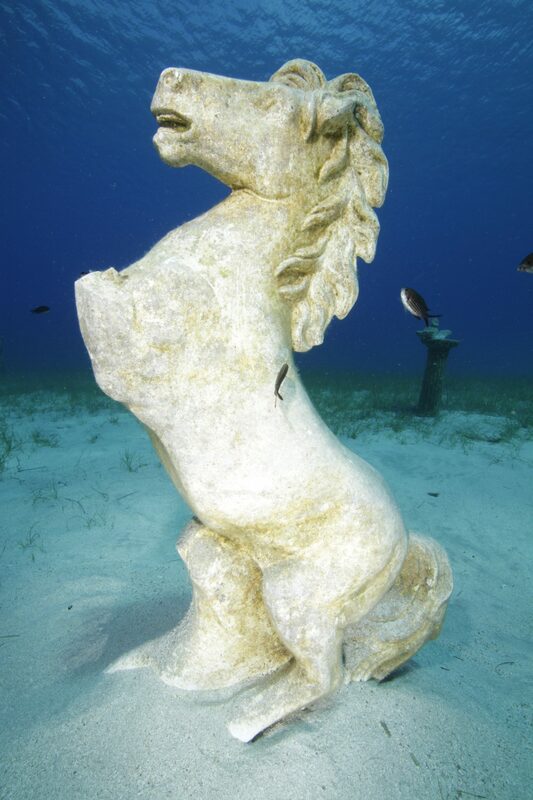 There is stunning scenery, historical sites, sheer walls and deep swim throughs. If you want to go scuba diving through caves during your stay in Cyprus, this is the scuba diving site for you. 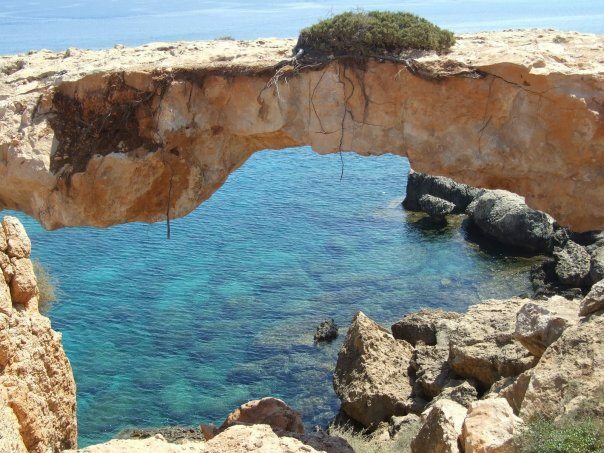 Over a dozen caves, tunnels and swim throughs await scuba divers at this unique part of the Cyprus coast. Sheer rock drop offs to over 40 metres, with boulders the size of buildings await you at this site. 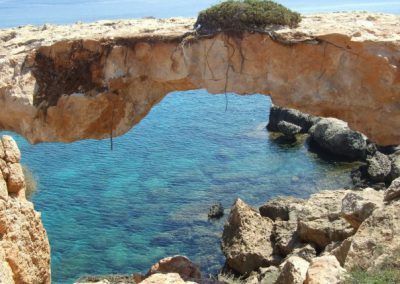 Experienced scuba divers will enjoy exploring the cliffs and ravines at the Cyclops scuba diving site. 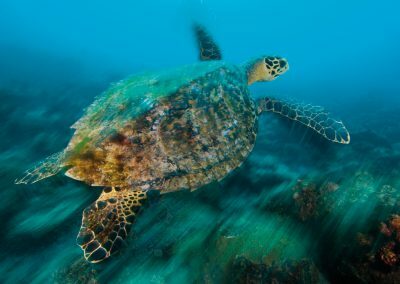 This is an ideal site for absolute beginners as it has a sandy seabed from 1 to 10 metres throughout its range and it is sheltered from all but the worst weather. 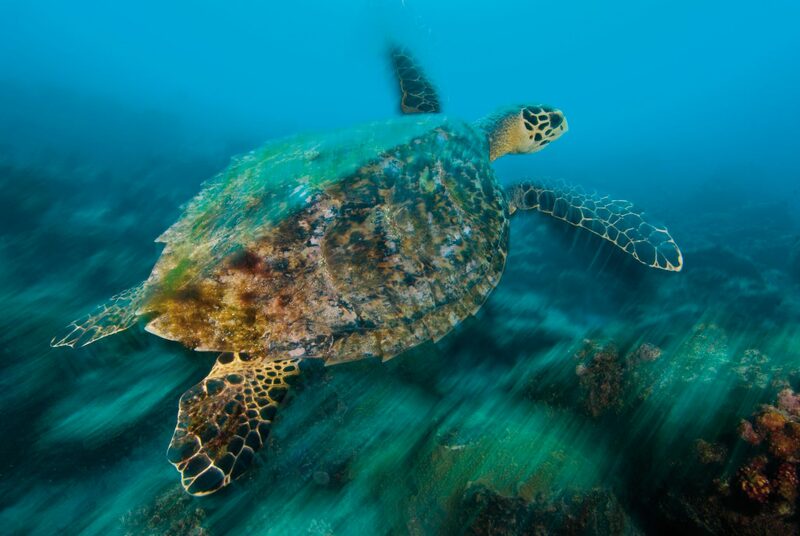 The addition of some statues and columns make the dive site interesting and the fish and resident turtle here will follow you around on your adventure. 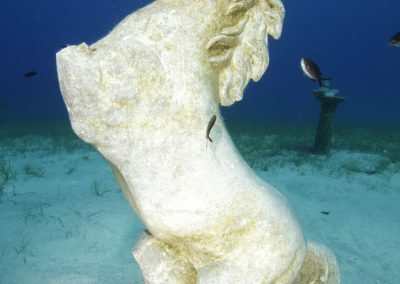 This site also makes a fantastic night dive location – shine your torch onto the statues and columns and experience the mystical sights. 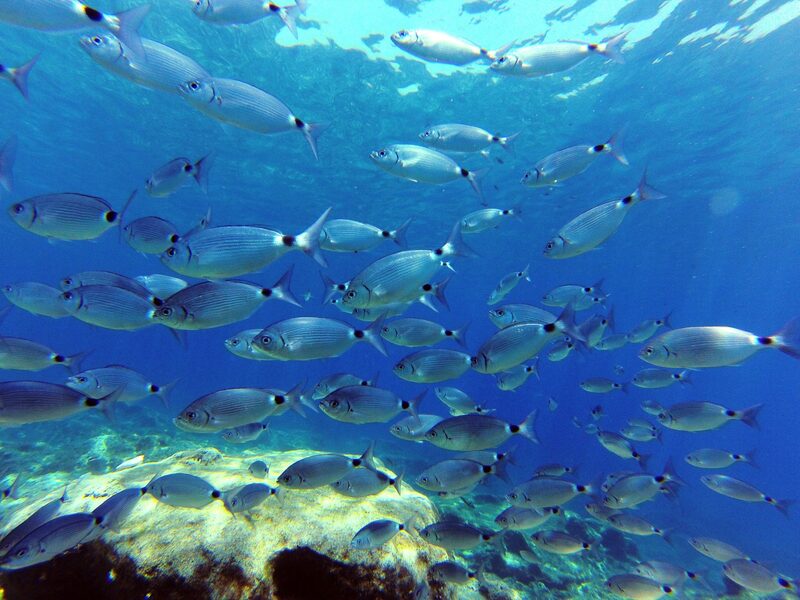 Scuba diving the plunging depths off White Chapel on Cyprus’ eastern coast will thrill any scuba diver with the skills to enjoy the experience.